With other customer support centers at full capacity, Lowe’s new contact center in Indianapolis provides the additional infrastructure Lowe’s needed for its expanding online commerce. The design direction of the new support center, which employs a team of 1,400 individuals, was inspired by its local Indianapolis context. 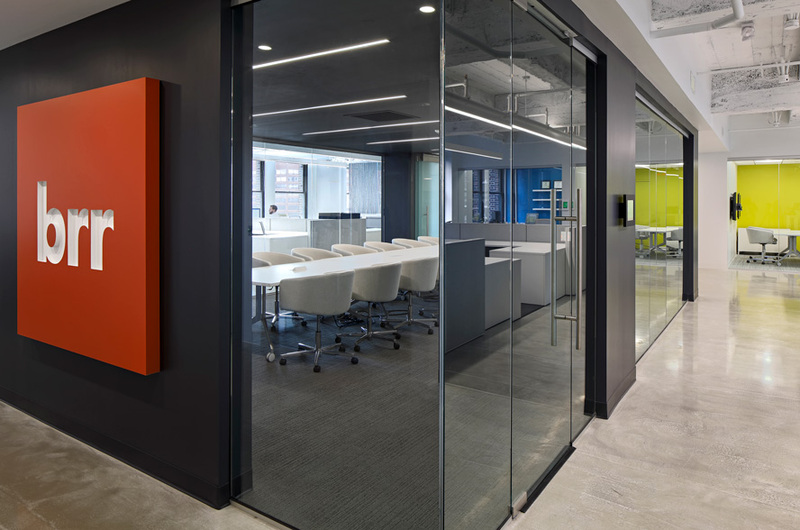 The “River” and “Street” corridors – subtle nods to Indianapolis and its local White River – use ceiling changes, bright flooring accents and suspended acoustic panels to clearly identify paths of circulation throughout the space. In the main lobby, a 30-foot suspended chain system provides a visually-engaging backdrop for corporate signage, visible from the exterior. 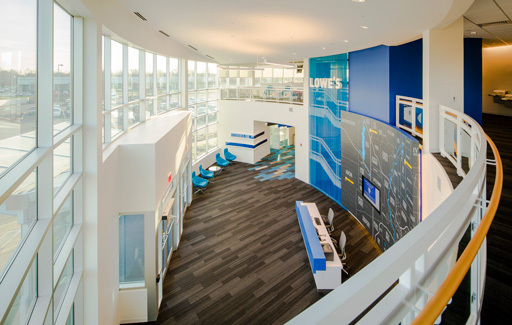 The overall use of color, and adherence to the Lowe’s brand throughout the space, create a strong identity that engages contact center employees and is clearly distinguishable from other Lowe’s support centers.